Almost two decades after his death Arthur Lipsett remains an anomaly within Canadian and avant-garde film histories. Uneasily oscillating between an artisanal tradition and the National Film Board’s institutional mandate “to interpret Canada for Canadians”, he was a popular experimental filmmaker whose eccentric, satirical collage films were internationally renowned. Lipsett recognised his contradictory position early on. Describing his first film, Very Nice, Very Nice (1961) less than a year after its release, he stressed, “It’s not just an interesting experiment…it moves people. It’s not ‘arty.’ Ordinary people enjoy and understand it.” (1) 16 years later, describing his difficult relationship with the Board, he similarly stated that his work was “in between – neither underground nor conventional”. (2) Lipsett embraced contradictions: lightly humorous and darkly ironic by turns, his films contain elements of narrative, documentary, experimental collage, and visual essay. It is plausible to claim that during the 1960s and ’70s Lipsett was one of Canada’s best-known filmmakers. Thanks to the NFB’s promotion and distribution mechanisms, his works were screened frequently in Canadian university and high school classrooms as well as on public television. Brought to international attention through an Academy Award nomination at the age of 25, the NFB’s former “boy genius” was admired by such diverse film patriarchs as Stanley Kubrick, George Lucas and Stan Brakhage (3), and has been compared favourably to William Blake, J.D. Salinger, Glenn Gould, Dziga Vertov, Christopher MacLaine and Bruce Conner. Despite (or perhaps because of) the awards, accolades, mainstream exposure and cross-continental circulation he received in his lifetime, Lipsett remains largely absent from the written history of Canadian cinema (4).No major study of his work has been published, nor have his art and life received the standard documentary treatment. Though his films have been recognised and appreciated around the world, he is best remembered in Canada as “the ghost of experimental film in the NFB documentary machine” (5) and proof that “experimental film-making at the NFB is an impossible proposition” (6). I’ve seen 14 films at the Cinethon, and only three or four have actually engaged my imagination. I find myself examining the others with an almost clinical detachment. They are not interesting in themselves; what is interesting is that someone has gone to the trouble of making them (8). The only Canadian filmmaker mentioned is Joyce Wieland; although he snidely criticises Wieland’s mixed-media presentation, Fulford does allow that she is an “impressively talented painter” (9). Lipsett was working at a time when independent avant-garde filmmaking did not exist in Canada, with a few isolated exceptions (Jack Chambers in London, Ontario; David Rimmer and Al Razutis in Vancouver; Wieland and Michael Snow, who jointly relocated to New York in 1963). 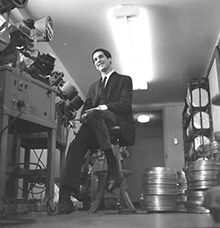 In the absence of independent distribution and funding mechanisms before the late ’60s, many innovative young cineastes ended up at the NFB where salaries, equipment, budgets and some degree of creative freedom could be quickly obtained. Pierre Hébert, Derek May, Gilles Groulx, Claude Jutra, Michel Brault, Roman Kroitor, Wolf Koenig, Ryan Larkin and Lipsett were just some of the talented filmmakers to emerge at the Board in the late-’50s and early-’60s. In the experimental field, Hébert, working alongside Norman McLaren, was a pioneer of hand-scratched films and computer-generated animation. Larkin, the “Frank Zappa of animated film”, gracefully combined charcoal line drawings with colour washes and other media. In documentary, Groulx, Jutra and Brault initiated the Québécoise direct cinema movement and Kroitor and Koenig its English-Canadian equivalent, while May’s documentaries anticipated the first-person diary strain that arose later in the decade. However these examples also call into question the very notion of “independent film”. McLaren developed and refined numerous direct film techniques at the NFB (many of which were gleaned from Len Lye during their days together at the British GPO Film Unit), but he also had his own animation department and technical staff. Furthermore, McLaren’s whimsical, populist animated films are arguably far from “avant-garde”. Which raises the larger question: Can government-sponsored art/work really be considered independent or socially critical? 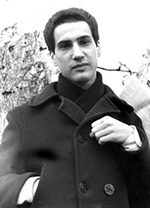 Arthur Lipsett was born on May 13, 1936 in Montreal. His father was a chemist and his mother was a Russian Jew originally from Kiev… At the age of ten, the year after World War II ended, Lipsett witnessed the suicide of his mother. There is no explanation for his mother’s suicide… [but] perhaps knowing the cataclysm and horrors occurring in her home country, and quite possibly to her own relatives, may have led her to commit such a desperate act. According to [Lipsett’s friend Christopher] Nutter, [his father] Saul Lipsett was cold and insensitive. He was a scientist who had little faith in aspects of life that could not be measured empirically such as the arts. His inability to show emotion and to appreciate the value of art may have added to an already unhappy household. At the age of eight Lipsett was encouraged to enrol in the Museum School of Art and Design in Montreal because his teachers felt he was a gifted artist. According to Nutter this brought a lot of stress between father and son (10). Lipsett, however, was undeterred. After graduating from Westhill High School he went on to study at the Montreal Museum of Fine Arts School of Art and Design, where he was named “best student” twice in three years. At this time he received encouragement and instruction from Arthur Lismer, a member of the Group of Seven and a pioneering arts educator. Besides being an important expressionist painter and a role model for Lipsett, Lismer was also a stern critic of nuclear proliferation. Dancsok observes that Lismer’s analysis of the atomic age “may have had a strong influence on Lipsett’s own belief in his duty to create meticulous acts of ‘transformation.’” (11).Certainly Lipsett’s intuitive use of found footage (before this became a convention of avant-garde cinema) and his criticism of corporate-industrial power structures can be traced back to Lismer’s teaching. At the NFB Lipsett began in the animation department, assisting on numerous production, notably as a cameraman on A Saint-Henri le cinq septembre (Hubert Aquin, 1962) and as a post-production advisor on La Lutte (Gilles Groulx, 1961). Among his first solo creations were a one-minute cartoon trailer for a compilation of government-sponsored advertising films, Hors-d’oeuvre (1960); and a trailer for the inaugural Festival International du Film de Montreal (also in 1960). Around the same time Lipsett began creating films from documentary outtakes, stock footage and sound extracted from cutting room trim-bins, which he combined with his own moving and still images. In Very Nice, Very Nice, 21–87 (1963), Free Fall (1964), A Trip Down Memory Lane (1965), Fluxes (1968) and N-Zone (1970) he fused experimental form and structure with insightful sociopolitical critique, a rare combination for NFB productions of any era. Lipsett’s long-time partner Judith Sandforth recalls the films they watched during this time: “Guy Viau, whose films became the start of the Cinematheque [québécoise in Montreal], had a fantastic personal collection. We used to go over and see films by Maya Deren, Bruce Conner, Kenneth Anger…” (12) In the 1960s, thanks in part to the New American Cinema’s breakthrough success and Andy Warhol’s international celebrity, screenings of avant-garde films on Canadian university campuses became common. Along with underground cine-clubs elsewhere, the rise of the campus as an alternative exhibition space was an important aspect of the avant-garde’s growth in this country. Through these screenings Canadian film experimentalists such as Lipsett had an opportunity to learn and gain inspiration from their more financially independent American counterparts. I, Arthur Lipsett have developed a phobia of sound tape. Also, my creative ability in the film field has dissapeared [sic]. There is no way to explain this and the result is that I cannot continue to work for the government. Sincerely, Arthur Lipsett (14). From then on his psychological problems worsened. Dancsok reports that Lipsett began wearing winter coats in the summer and would tape his fingers into Buddhist mantra position for protection from phantom voices. In 1982 he was diagnosed with chronic paranoid schizophrenia. After numerous failed suicide attempts (which he dubbed his “little experiments”), he took his own life in April 1986, shortly before his 50th birthday (15). It is ironic and perhaps not entirely coincidental that sound tape, the inspiration for Lipsett’s first film, was also the source of his resignation from the NFB. Very Nice, Very Nice, which received a 1962 Academy Award nomination in the Best Live Action Short category, began as an audio collage on quarter-inch magnetic tape that he created for a sound-editing workshop. Lipsett claims, “It was initially a sound experiment – purely for the love of placing one sound after another.” (16) Visually, the film consists mainly of still photos taken by Lipsett in New York, Paris and London to accompany the soundtrack, along with magazine photographs, outtakes from NFB documentaries, and stock shots of a mushroomcloud explosion and a space shuttle launch. To these images he married voices critical of contemporary technocratic values, including soundbites from Northrop Frye and Marshall McLuhan; by severing the words of the famous from their visual referents Lipsett renders them quasi-anonymous, shifting the focus from the speakers’ identities to the ironic implications of their statements. Like all of his films, Very Nice, Very Nice disrupts the representational value of documentary image and sound, moving beyond the genre’s aesthetic codes of truth and reliability. The result is a sardonic re-reading of 1950s consumerism, mass media and popular culture. For example, over an anonymous claim that, “People always seem unwilling to become involved in anything… I mean really involved”, Lipsett shows the burnt corpse of a probable war casualty followed by two shots of different women looking down and away. We then hear another voice saying, “Almost everyone has a washing machine, a drying machine.” Seconds later we see a man holding a placard reading, “The End is at Hand”. Over a comic image of U.S. Air Force jets stacked up to the sky we hear mocking laughter at the suggestion that “the situation is getting worse”. And against a clip of McLuhan’s statement that, “People who have made no attempt to educate themselves live in a kind of dissolving phantasmagoria of a world”, Lipsett dissolves several blurry, disinterested faces into one another. These examples of “vertical montage”, as Sergei Eisenstein described the moment-to-moment juxtaposition of a film’s audio and visual tracks, indicate how sound influences a shot’s signification. William Wees observes that in found footage films such as those of Lipsett and Abigail Child, “the incongruity of sound and image expose, satirise, and produce new readings of the banalities, cliches and conventional modes of discourse – verbal and visual – that are endemic to the mass media.” (17) The critique of mass media is an important aspect of Lipsett’s work, although such a critique is easily undermined in our age of self-conscious advertising campaigns and political spin. I wonder if similar films could be made using today’s images – or is the media itself now too saturated in postmodern irony? The images of the repulsive and often overlooked damage left by both war and technological progress which punctuate Very Nice, Very Nice give the film its lasting punch. History has had the final word on the atom bomb, the space race, Richard Nixon, Nelson Rockefeller and John F. Kennedy, and it is not flattering. But as Lipsett’s narrator asserts at film’s end, “The more determined of us are doing something about it. Warmth and brightness will return, a renewal of the hopes of men.” Although they cut against the film’s grain, these concluding remarks suggest the possibility of an optimistic worldview while underlining the importance of active, political engagement. Throughout Very Nice, Very Nice Lipsett’sresolute cynicism is offset by tender, affirmative moments of humour and humanity: images of children at play and the upbeat sounds of jazz music (complemented by shots of – is that the tenor saxophonist, John Coltrane?). It is not incongruous, then, that two of the film’s working titles were “Strangely Elated” and “Revelation”. Most importantly, these sequences place a clear value on individual expression as an act of creative resistance. Following Very Nice, Very Nice, Lipsett directed Experimental Film (1962), a television panel discussion featuring the American film historian Herman Weinberg, the film critics Clyde Gilmour and Fernand Cadieux and the NFB producer Guy Glover. They debate the merit of experimental films by George Dunning, Robert Breer, Jan Lenica, Walerian Borowczyk and Lipsett, which are included intact, accompanied by commentary from Breer and Norman McLaren. Although the film is conventional by today’s standards, Dancsok makes the important point that “as early as 1962 Lipsett was trying to explain his practice to an uninitiated audience” (18). However, his initially successful attempt to cultivate spectators through the television was undercut by his declining status within the Board following a switch to the presumably more democratic “pool” funding system in 1964 (19). In 1963, Very Nice, Very Nice was shown on the Canadian Broadcasting Corporation’s television program, Quest. The following year, Lipsett’s third film, 21-87, had its Canadian premiere on the CBC program Explorations alongside a documentary on the Québécoise sculptor Armand Vaillancourt. At this point the film shifts temporal registers, with an accelerated montage of funhouse mirrors, wild dancing, heavy breathing, church music, circus elephants and horse racing. In the midst of all this Lipsett inserts a startling, poignant portrait sequence. In the film’s most direct public engagement, passers-by stare blankly at the camera or obscure their faces with newspaper as they emerge from an escalator. Shot from a low angle their bodies appear to rise from the ground, a metaphor for transcendence that harks back visually to the preacher’s statement about the body of Christ. Yet the dispassionate expressions of these commuters, framed in medium close-up, also convey Lipsett’s concern for an increasingly de-humanised civilisation, foreshadowing his embryonic agoraphobia and subsequent withdrawal from public life. 21–87concludes with “a good-hearted friendly voice” (22) repeating a line from earlier in the film: “And somebody walks up and you say your number is 21-87, isn’t it? Boy does that person really smile.” This snippet of dialogue, employed ironically, encapsulates Lipsett’s view of scientific rationality, which can be construed at the personal level as a coded response to his father’s detached, impersonal character. Lipsett’s use of close-ups in 21–87 recalls Siegfried Kracauer’s seminal investigation and taxonomy of film language, Theory of Film (1960). Like the French film theorist Andre Bazin, Kracauer emphasised cinema’s capacity to accurately represent and record reality. Despite their significant differences, both he and Bazin advocated a form of documentary realism, bringing film and the quotidian into close, asymptotic association. attempt to express in filmic terms an intensive flow of life – a vision of a world in the throes of creativity – the transformation of physical phenomena into psychological ones – a visual bubbling of picture and sound operating to create a new continuity of experience – a reality in seeing and hearing which would continually overwhelm the conscious state – penetration of outward appearances – suddenly the continuity is broken – it is as if all clocks ceased to tick – summoned by a big close-up or fragment of a diffuse nature – strange shapes shine forth from the abyss of timelessness (23). In his use of superimpositions, percussive tribal music, syncopated rhythms and a brisk “single-framing” technique at the end of 21-87, Lipsett may have been attempting to create synesthesia through the intensification of image and sound. Citing Kracauer, Lipsett writes that, “Throughout this psychophysical reality, inner and outer events intermingle and fuse with each other – ‘I cannot tell whether I am seeing or hearing – I feel taste, and smell sound – it’s all one – I myself am the tone.’” (24). Incidentally, Free Fall was originally intended to be a collaboration with the American composer John Cage, modelled on his system of chance operations. However, Cage later withdrew his participation fearing Lipsett would attempt to control and thereby undermine the aleatory organisation of image and sound. In 1965 Lipsett filmed a series of psychology lectures at McGill University in Montreal (25) and directed A Trip Down Memory Lane (1965). A surrealist time capsule combining fifty years of newsreel footage, A Trip Down Memory Lane was Lipsett’s first pure collage film, composed exclusively from stock image and sound. Continuing his process of excavation, mediation and transformation, the film constitutes a brief audiovisual tour of the post-war technocracy. In his notes “for [producer] Donald Brittain in order to communicate to him some basic thinking” on the film, Lipsett writes “As science grows, religious belief seems to have diminished”, adding that, “The new machines (of every description) are now invested with spiritual qualities. They have become ritualistic implements.” (26) Working from a by-then familiar repertoire of images, A Trip Down Memory Lane pieces together footage of a beauty contest and a religious procession; failed airflight, automotive and science experiments; callous animal testing; skyscraper construction; military paraphernalia; John D. Rockefeller and scenes of leisure; Richard Nixon and scenes of war; blimps, hot air balloons, a sword swallower. Aggressive in content and tone, A Trip Down Memory Lane splits the difference between Lipsett’s last two NFB productions. Completed during a period of declining institutional support and deteriorating mental health, Fluxes (1968) and N-Zone (1970) are longer and more diffuse than his previous films. Writing on Fluxes, Andrew Munger states that “the military motif, religious rhetoric and newsreel footage of the trial of ‘final solution’ architect Adolf Eichmann, accompanied by dialogue from a trashy 1950s science fiction film, collides history and popular culture into… ‘a phantasmagoria of nothing.’” (27) The film is Lipsett’s most scathing, pessimistic work, and represents a metaphorical emptying out of the NFB trim bin. N-Zone, on the other hand, is Lipsett’s most personal film and a departure from his associative montage style. Languid, theatrical, autobiographical and self-reflexive, N-Zone balances a measured use of found footage with scenes of Lipsett and his friends alone and in casual conversation. Recalling the Beat ethos of the previous two decades, these “characters” enact an unspoken confrontation between unbridled individuality and a society of conformity, rational administration and collective security. Meanwhile, the usual mixed-bag of pompous politicians, circus stunts, advertising slogans and atomic bombs is replaced by a thinned-out audiovisual inventory of chanting, bells, Chinese music, celestial imagery, tea ceremonies, candles, crucifixes, statues and other religious symbols. Whereas Very Nice, Very Nice shaped the dull shards of documentary outtakes into a razor-sharp satire of Cold War suspicion, repression and nuclear escalation, N-Zone documents a private quest for spiritual identity within a “dissolving phantasmagoria of a world,” a “phantasmagoria of nothing”. Looking at a collage film close-up is a futile exercise. In focusing on details one misses the coherence of the whole. To understand the delicate order and momentary logic of collage one must distance oneself to the point where edges blend together and textures soften. What matters most are not the individual shapes, but the way those shapes move together. Lipsett’s films exemplify how images and sounds can be fused in a synthetic yet authentic form. By pursuing truth behind the everyday, he discovered beauty in the absurd and the basic. Like Kracauer, Lipsett recognised cinema’s ability to reveal the ugly side of life, the things we don’t want to acknowledge, the refuse. This is what Lipsett did: he transformed the fragmentary value of refuse into a unified material world. Thanks to Astria Suparak for editorial assistance. Kevin Courrier, “The Incredible Mr. Lipsett”, Globe and Mail, February 25, 1997, p. D1. Michael Dancsok, “An Introduction to Notes and Proposals by Arthur Lipsett”, Canadian Journal of Film Studies vol. 7, no. 1, spring 1998, pp 43–47. Gary Evans, In the National Interest: A Chronicle of the National Film Board of Canada from 1949 to 1989, University of Toronto Press, Toronto, 1991. Ihor Holubizky, “Films for the End of the Century: The Films of Arthur Lipsett”, Images ’89. The Images Festival of Film and Video, Toronto, 1989, pp 36-39. D.B. Jones, Movies and Memoranda: An Interpretive History of the National Film Board of Canada, Canadian Film Institute, Ottawa, 1981. Arthur Lipsett, “Notes and Proposals”, Canadian Journal of Film Studies vol. 7, no. 1, spring 1998, pp 47–62. Richard Magnan, “Les Collages cinematographiques d’Arthur Lipsett”, M.A. Thesis, Universite de Montreal, Montreal, 1993. Terry Ryan, “Six Filmmakers in Search of an Alternative”, Artscanada 142/143, April 1970, pp 25–27. Lois Siegel, “Arthur Lipsett: A Close Encounter of the Fifth Kind”, Cinema Canada no. 44, February 1978, pp. 9–10. Lois Siegel, “A Clown Outside the Circus”, Cinema Canada no. 134, October 1986, pp 10–14. Mark Slade, “Arthur Lipsett: The Hyper-Anxious William Blake of Modern Cinema”, The Gazette [Montreal], December 7, 1968, p. 21. Dusty Vineberg, “A ‘Short’ Story: Waste-basket to Potential Oscar”, Montreal Star, February 24, 1962. William C. Wees,, Recycled Images: The Art and Politics of Found Footage, Anthology Film Archives, New York, 1993. The National Film Board’s Website includes abstracts of all the films that Lipsett worked on during his career at the NFB. Page on the Net-Space-Project Website, includes an article by Amelia Does on Lipsett as well as filmography that links to information Does has written about the films. Page on the work of Lipsett, including two reviews and a letter written by Fred Camper. Article by Lois Siegel, originally published in Cinema Canada, October 1986. Unsigned review essay on the film. Arthur Lipsett quoted in Dusty Vineberg, “A ‘Short’ Story: Waste-Basket to Potential Oscar”, Montreal Star, February 24, 1962. Arthur Lipsett file, Cinematheque québécoise Archives, Montreal. My emphasis. Arthur Lipsett quoted in Lois Siegel, “Arthur Lipsett: A Close Encounter of the Fifth Kind”, Cinema Canada 44, February 1978, p. 10. Kubrick described Very Nice, Very Nice (1961) as “one of the most imaginative and brilliant uses of the movie screen and soundtrack that I have ever seen.” Kubrick was so enthused with the film he invited Lipsett to create a trailer for Dr. Strangelove (Stanley Kubrick, 1965) an offer Lipsett refused. Stanley Kubrick, letter to Arthur Lipsett, Arthur Lipsett Collection, Cinematheque québécoise Archives, Montreal, May 31, 1962. Lucas cites Lipsett’s 21–87(1963) as an inspiration for THX-1138 (1971). See Kevin Courrier, “The Incredible Mr. Lipsett”, Globe and Mail, February 25, 1997, p. D1. Brakhage admired Lipsett’s ability to transform “documentary file footage” for “his own polemically poetic usage”. See Stan Brakhage, “Space as Menace in Canadian Film and Painting”, in Brakhage, Telling Time: Essays of a Visionary Filmmaker, Documentext, Kingston, 2003, p. 95. Lipsett merits attention in most Canadian film surveys, including David Clandfield, Canadian Film, Oxford University Press, Toronto, 1987; Take One’s Essential Guide to Canadian Film, ed. Wyndham Wise, University of Toronto Press, Toronto, 2001; and Peter Rist, Guide to the Cinema(s) of Canada, Greenwood Press, Westport, 2001. However, he is largely absent from publications devoted to Canadian experimental film, such as Richard Kerr, Practices in Isolation: Canadian Avant-garde Cinema, Kitchener-Waterloo Art Gallery, Waterloo, 1986); Recent Work from the Canadian Avant-Garde, eds Catherine Jonasson and Jim Shedden, Art Gallery of Ontario, Toronto, 1988); R. Bruce Elder, Image and Identity: Reflections on Canadian Film and Culture, Wilfrid Laurier University Press, Waterloo, 1989; and The Visual Aspect: Recent Canadian Experimental Films, ed. Rose Lowder, Editions des Archives du film experimental d’Avignon, Avignon, 1991. Lipsett’s lack of production during the ’80s, and his premature death in 1986, excluded him from any discussion of “recent” Canadian experimental films. “Arthur Lipsett”, Take One’s Essential Guide to Canadian Film, p. 129. R. Bruce Elder, “The Cinema We Need”, Canadian Forum, February 1985, p. 34. Robert Fulford, Marshall Delaney at the Movies: The Contemporary World as Seen on Film, Peter Martin Associates, Toronto, 1974, p. 19. Michael Dancsok, “Transcending the Documentary: The Films of Arthur Lipsett”, M.A. Thesis, Concordia University, Montreal, 1998, p. 34. Lois Siegel, “A Clown Outside the Circus”, Cinema Canada 134, October 1986, p. 11. Thomas Schnurmacher reports that the National Film Board cancelled Traffic Signals when Lipsett “was $150 short in producing receipts for [the] film… which is rather amazing when one considers that the NFB’s annual maintenance budget approaches $1 million.” Thomas Schnurmacher, “Lipsett’s archives being seized”, The Gazette (Montreal), July 19, 1979. If true, this information sheds new light on the reason for Lipsett’s resignation from the Board. Arthur Lipsett, Memo to Bob Verrall, Production Files, National Film Board Archives, Montreal, September 21, 1978. “Arthur Lipsett”, Press Release, Arthur Lipsett File, Cinematheque québécoise Archives, Montreal. William Wees, Recycled Cinema: The Art and Politics of Found Footage Anthology Film Archives, New York, 1993, p. 21. Reviewing 21-87‘s TV broadcast in the Canadian Jewish Chronicle, Jean Sadler writes the film “is merely a parade of violent images, loosely hung together with equally violent clinical detachment.” Whereas Very Nice, Very Nice communicates the “despair and frustration [of] the ugly, meaningless every day actions of man as he stumbles blindly along a path of self-destruction”, 21–87 “is no longer shocking or provocative”. Jean Sadler, “Television”, Canadian Jewish Chronicle, February 21, 1964, p. 64. NFB catalogue description for A Trip Down Memory Lane. Lipsett quoted in “Two Quebec Artists”, CBC Times, February 15–21, 1964, p. 15. Lipsett, “Notes and Proposals”, Canadian Journal of Film Studies vol. 7, no. 1 Spring 1998, p. 50. Lipsett, 1998. The internal reference is from Siegfried Kracauer’s Theory of Film: The Redemption of Physical Reality, Princeton University Press, Princeton, 1997, p. vii. The Oxford University Press originally published Theory of Film in 1960. Reference is to the reprinted version. These lectures included “Animal Altruism”, “Fear and Horror”, “Perceptual Learning” and “The Puzzle of Pain”. They were part of “Psychology Topics for Discussion Groups”, a four-part series supervised by Professor D.O. Hebb of McGill University. Lipsett would have been assigned to film them by a producer at the NFB. As Dancsok points out, the titles are ironic given Lipsett’s own psychological problems, but entirely coincidental. See Dancsok, 1998, p. 15. Andrew Munger, review of Arthur Lipsett film program in Elizabeth Schroder et al., “Independent Images”, Fuse vol. 12, no. 6, August 1989, p. 35. The films reviewed include Very Nice, Very Nice, 21-87, Fluxes, and N-Zone. Brett Kashmere is a filmmaker living in Central New York, where he writes extensively about avant-garde cinema, music and video, curates international exhibitions, and teaches experimental film.